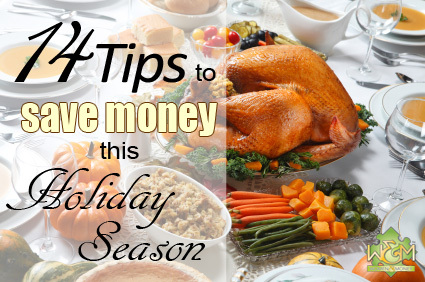 Season of Savings: Tips to save money this Holiday Season! 2. Try alternating hosts each year between you, your parents, your brother or sister and in-laws so the financial burden doesn’t always fall on you. 4. Make sure you plan your meal ahead of time so you can buy your ingredients in advance when they are on sale, and/or you have the time to collect and use coupons. If you know you’ll be making your family’s favorite pumpkin pie again, stock up on pumpkin puree and spices early when the prices are cheaper and there’s still plenty on the store shelf. This entry was posted in Christmas. Bookmark the permalink. Both comments and trackbacks are currently closed.